You are here: Home / 2013 Tennis Season / Is Federer on the decline of his career? Is Federer on the decline of his career? Roger Federer has always been under the tennis microscope this year; every match, point, unforced error, winner, and double fault are all examined closely by the tennis world. 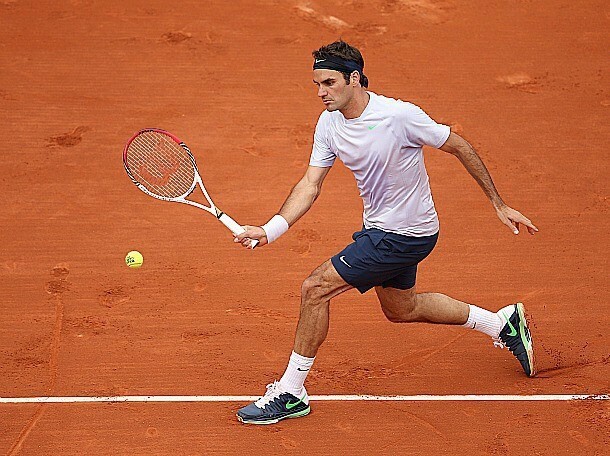 His match in the 2013 French Open quarterfinals against Jo-Wilfried Tsonga is going to be the match that will be the base of the speculation of a “Federer career decline.” Roger pretty much got worked over in his quarterfinal match against Frenchie Jo-Wilfried Tsonga in straight sets. Let me say this now, Tsonga played an amazing match against Roger. Tsonga was seeing the tennis ball as if it were the size of a basketball, very few errors off the Tsonga racquet. On the other side of the court was the sluggish, tired, disinterested Swiss Maestro; it seemed as though Roger was already back at the hotel. I don’t blame the guy, his previous match against Simon was exhausting (to watch at least). Federer’s professional tennis career over now? Just because Roger Federer suffered a bad loss to a much more energetic player on this day doesn’t automatically make it his time to retire. This is just another bump in the road for an already stellar tennis career. Granted, Roger’s game has changed some in recent months, not seeming to have the same “bite” that he once had. The determination is still there, the magical touch is also still there, it just seemed that he didn’t have it in him when he walked onto Court Philippe Chatrier today. He’s just seems to be a half step slow these days. His serve has definitely slowed down a little and hasn’t served as many aces lately. I wonder if he’s just slowing down now, to maintain his body for the rest of the 2013 tennis season and the upcoming 2014 season. The social media machines, have been a buzz since Jo-Willy beat Roger in straights; there was lot of speculation about the beginning of the end for him. As if this was the determining factor to get him to retire. The bottom line is no, this is not the beginning of the inevitable…Roger Federer retiring from professional tennis. Need I remind you, Roger Federer is the defending champion of Wimbledon so he’s got some work left to do this year. The next major is his best chance to add to his impressive collection of trophies, so his loss at the French might be bittersweet; in the sense that he now has time to focus on grass courts. Let’s not forget that Roger Federer also claims he plans on participating in the 2016 Olympic Games being held in Rio De Janeiro, Brazil for another attempt to capture that elusive Olympic Gold Medal.